Activated charcoal is widely used to purify air and water of their pollutants. Charcoal is widely used to remove unwanted odors, toxins and flavors from foods. It should not seem strange then that charcoal is also widely used to decontaminate soils from a host of toxic compounds that daily filter down from the air above, including those in rain and irrigation systems. And, if charcoal cleans all manner of food products, it is reasonable to think charcoal would be incorporated into agricultural methods to adsorb poisons from the very soils that we play on or grow our food in. When thinking of soil contamination, what are some areas where charcoal should be the first remedy of choice? Well, how about the overzealous husband who over fertilizes, over sprays his wife’s flowerbed, burns his brand new turf sod, or kills the grass seed as it sprouts. Maybe you are a “shade tree mechanic” with brown spots around the yard where oils have spilled onto the grass. Perhaps you manage a golf course and someone misunderstood the mixing proportions for the herbicides, and instead of greens you have “browns”. Or, you manage a large agricultural grow operation, and, after spraying your fields with some powerful pesticides, you want to remove whatever toxic residues are left in the soil. Whether you are a home gardener or a commercial agriculture operation you need to know and understand how activated charcoal can work for you, not only to decontaminate soils, but also as a simple and harmless soil amendment for better yields. The North Carolina Cooperative Extension Service in drafting their Using Activated Charcoal to Inactivate Agricultural Chemical Spills, state: “Activated charcoal is the universal adsorbing material for most pesticides.” In fact, many golf courses do use and store activated charcoal just for those unforeseen emergencies when fertilizers or herbicides are overused. In fact, many agricultural growers do use activated charcoal to decontaminate soils after heavy spraying of pesticides and fungicides, prior to reseeding. And, in fact, many gardeners and homeowners use charcoal for localized soil contamination, as they have for thousands of years. You too should have activated charcoal on hand whether for prevention or intention. Another growing market for activated charcoal is city landfill sites. The leachates that seep down through the vast concentrated soup of toxic chemicals are a prime contaminator of ground waters. 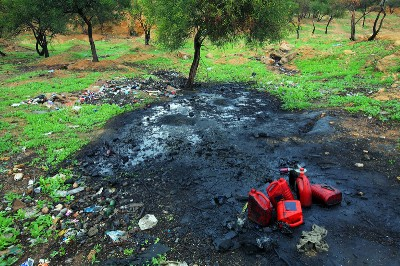 Here again, activated charcoals are used extensively to adsorb this lethal soup before it poisons the water table that can then poison soils and wells at greater distances. Besides those things we naturally think of artificial and toxic, there are the “natural” contaminants like black walnut trees and cocoa bean mulch that can be toxic to plants and animals. Black walnut trees produce a chemical called jugalone/juglone that can stunt or kill other plant growth within their drip ring. The leaves, bark, wood and roots carry this toxin and can contaminate other areas when the various plant parts are removed. For instance, the shavings or sawdust from black walnut trees have also been implicated in laminitis in horses. Horses that are exposed to the shavings or sawdust from black walnut trees are most at risk because it is occasionally used as animal bedding. Signs in horses occur within twenty-four hours of exposure to walnut shavings, and include rapid onset of laminitis, an increase in pulse, swelling of the limbs, rapid breathing, and elevated temperature. Necrosis of the dorsal laminae may occur and complicate recovery. Besides removing the shavings/sawdust, washing the feet, Horse and Farm magazine recommends giving activated charcoal for gastrointestinal detoxification. Beyond that, charcoal can be spread around the contaminated areas as a thick slurry and washed into the soil, or it can be raked in. For home gardeners it is worth knowing that jugalone is still produced in the root system even after the tree has been cut down and can be toxic to some plants. Here is a list of trees/shrubs/flowers/fruits/vegetables that are known to be sensitive or resistant to black walnut trees. Cocoa bean mulch has concentrations of theobromine and caffeine that are high enough to be poisonous to domestic animals. Consequently, because cocoa bean mulch is gaining in popularity, the ASPCA Poison Control Center has reported an increasing number of animal poisonings related to the mulch. Most pet owners know not to give chocolate to their canine friends in any form. But when it happens, because activated charcoal is known to adsorb theobromine and caffeine, it is part of the first aid treatment for such cases. Besides removing the mulch or restraining the animals from mulch areas, another preventive strategy may be to spray or rake activated charcoal into existing cocoa bean mulch to neutralize the high concentrations. “Sometimes it becomes necessary to stop the activity of an applied herbicide, perhaps because of an accidental spill, perhaps because of a weed-control and grass-seeding combination. Activated charcoal adsorbs one hundred to two hundred times its own weight and comes in handy for binding, thereby deactivating some herbicides. Turf areas that have been treated with pre-emergence herbicides can be reseeded earlier than normal by treating with activated charcoal. To learn more how charcoal can serve you in your garden or on your farm we recommend the book: CharcoalRemedies.com The Complete Handbook of Medicinal Charcoal & Its Applications.